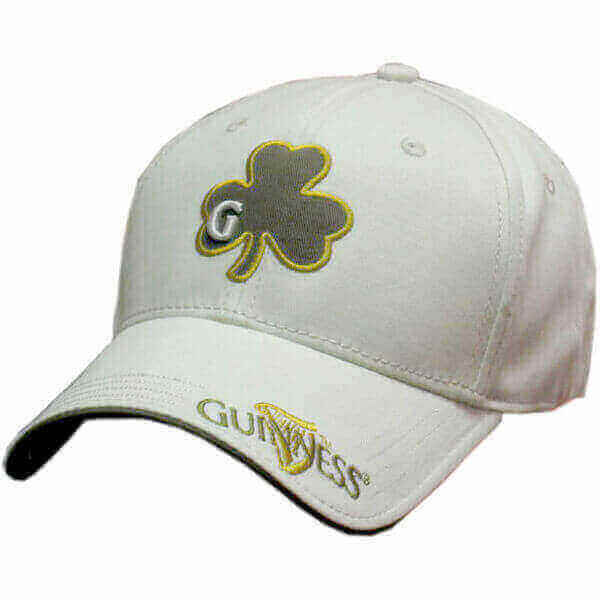 Celtic design Baseball Cap. 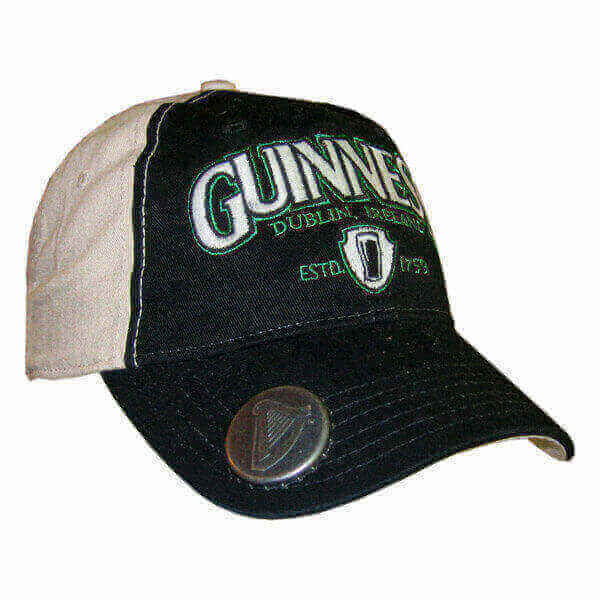 For those of you who are intrigued by the Celts and their artwork this stylish pattern will appeal. 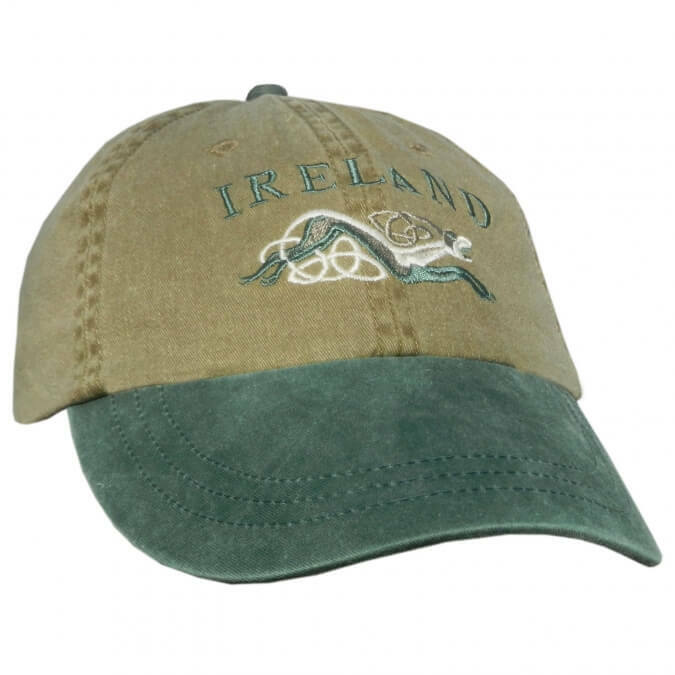 It depicts an Irish Wolfhound using the ancient Celtic art style with the word Ireland written above. 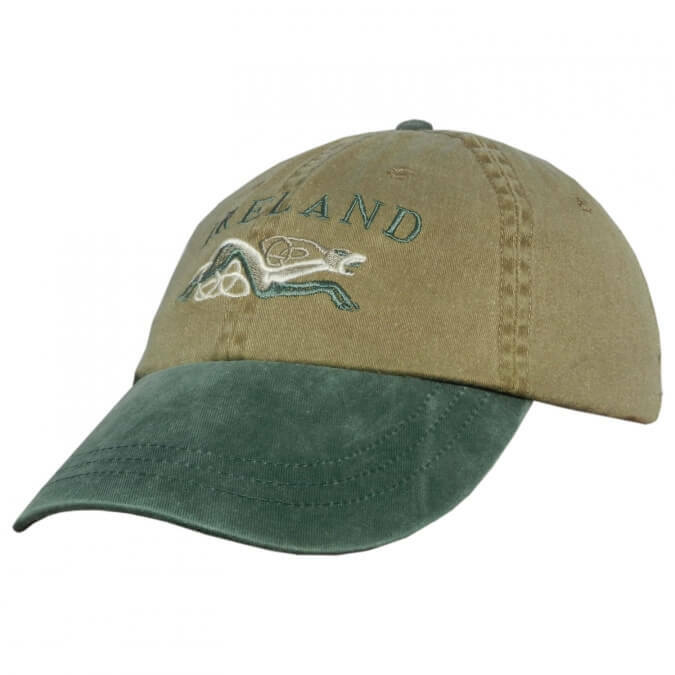 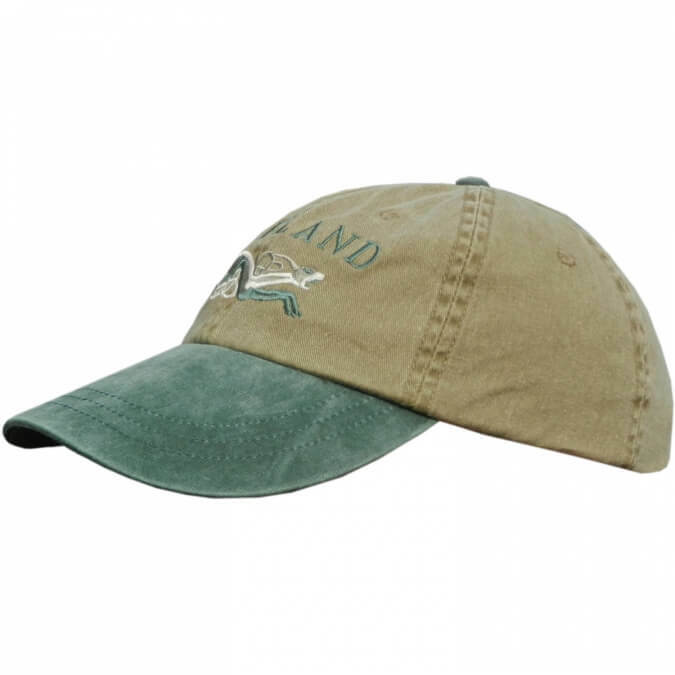 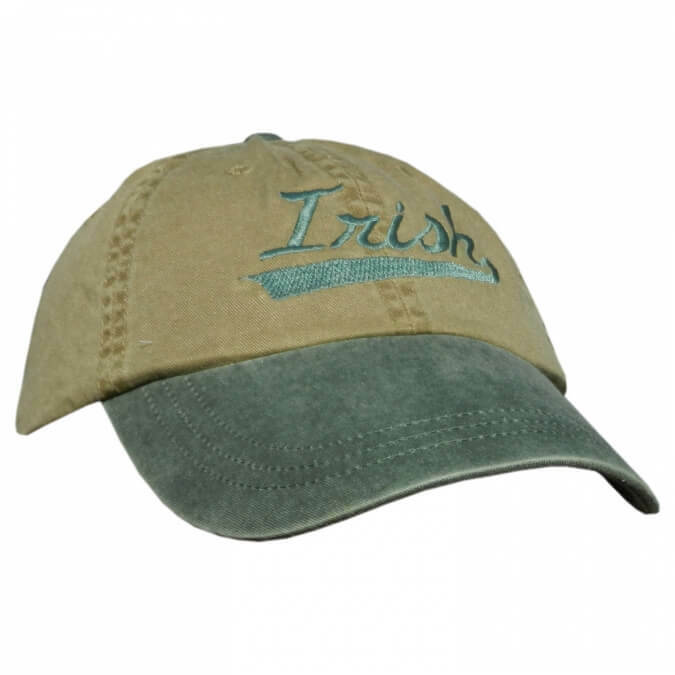 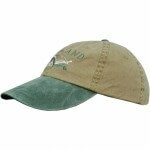 Embroidered logo, soft tan color with green hat brim. 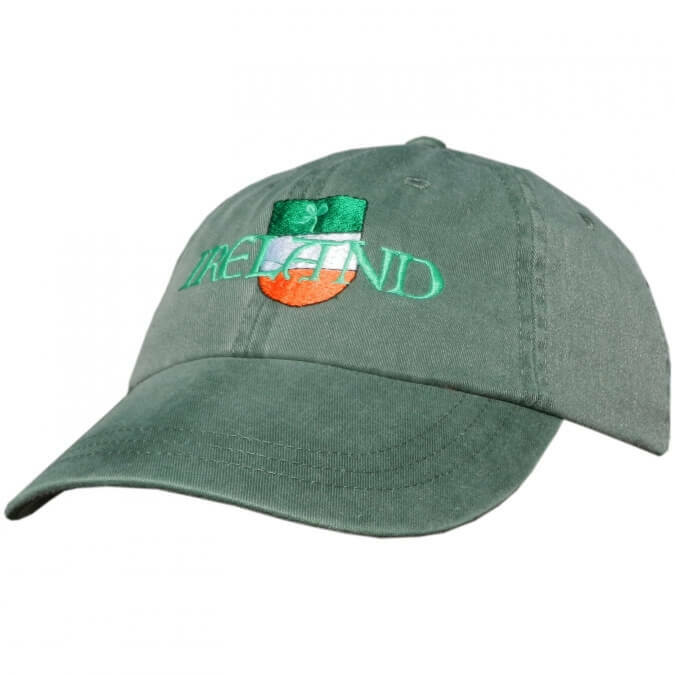 Many Irish legends and myths include mention of dogs and hounds, with the story of Cuchulainn being the most well known.